Rated 4 out of 5 White Roses. 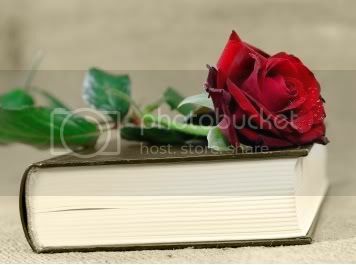 Content rated with the Red Rose. Due to a promise between her father and the Duke of Canterwick while in their youth, Olivia Lytton has been betrothed since before she was even conceived. She is bound to marry the Duke of Canterwick’s eldest and only son, a man who is much younger than she is, not a man she would like to tie herself to, and, to put it kindly, he’s special. But a promise is a promise and as a result of her engagement, her sister has the opportunity to meet and potentially marry a duke of her own, a duke who happens to be ideal for her sister. Tarquin, the Duke of Sconce, has known the sensation of loving someone and then losing them. He assures himself that he never wants to feel that way again, so he lets his very domineering mother find a wife for him. She has come to the conclusion that Georgiana Lytton would make the perfect bride for Quin, her only drawback being her older and much wilder twin sister Olivia. Now, while his mother’s choice makes the most sense, Quin can’t help but disagree. Olivia makes him feel things that he hasn’t felt in a long time. He is completely drawn to her. The only thing in his way is Canterwick. The Duke Is Mine is about two imperfect people who happen to be perfect for each other. Olivia is a strong and intelligent heroine. The only thing that really bothered me is the constant self criticism of her weight. Thank goodness for her sister and Quin who saw her for the beautiful woman she was, because otherwise, her self image would have just been depressing for this story. Instead, we readers were given a hero in Quin who happened to be as strong of mind as Olivia and helped provide the balance that this story needed. The flaws and insecurities of the main characters give a lot of heart to this tale. This isn’t your typical prince and princess. While Cinderella and Snow White had woodland creatures, fairy godmothers, dwarves, and spells, Olivia and Quin simply had hope and each other. The Duke Is Mine definitely gives a touching human side to a fairy tale but provides just as much magic. The Duke Is Mine published by Avon Romance December 2011. This entry was posted in 4 White Roses, Book Courtesans, Book Reviews, Historical, Red Rose, Romance, The Lustrous Courtesan, Women's Fiction and tagged Book Courtesans, Book Reviews, Eloisa James, Historical, Reading Haven, Romance, The Duke Is Mine, Women's Fiction. Bookmark the permalink.